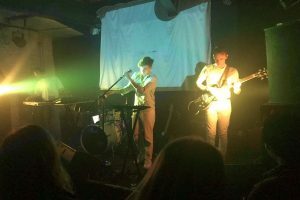 The gig is organised by promoter Scruff of the Neck and headlined by the more conventionally indie-rock Submariner, and the difference in styles between the two bands makes them strange bedfellows, though not to the evening’s detriment. Collect Call’s set seems fuelled by nervous energy – understandable, given the band is still at an embryonic stage – and this translates into a frenzied performance. One song shudders into the next and the pauses in-between last only a few seconds if at all. They play the two tracks available online early in their set. 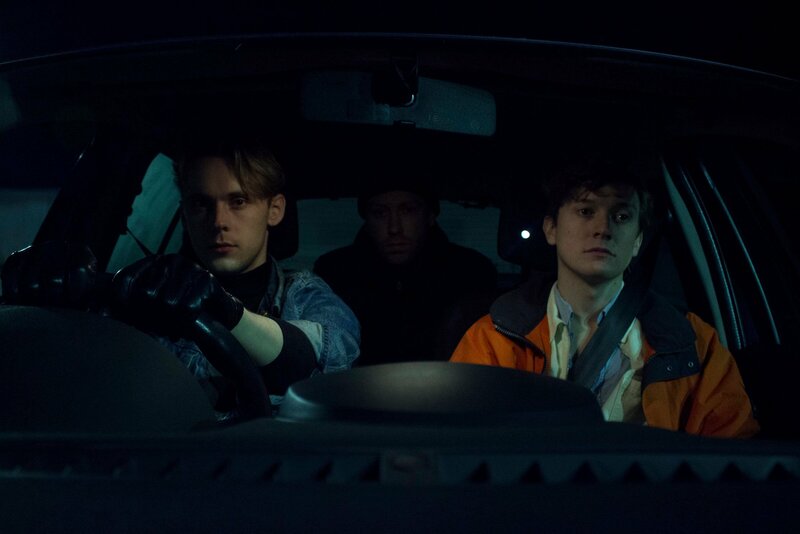 Their debut single Greenhouse is anthemic and joyous enough in an understated way, though Thorpe’s melancholy vocals prove a poignant counterpoint for those able to decipher them over the pounding beats. BluePil sees Thorpe crooning seductively over an earthy bassline. Both songs go down well with the crowd. Notwithstanding some technical issues with their audio/visuals – an attempt to project a 3D stream of their performance onto a screen behind them is sadly scuppered as the resulting image appears only in miniature and is mostly obscured by Norton’s head – the gig is a success, and they depart the stage to cheers from an audience swollen by those arriving late to see the more illustrious headliners. He explains that the somewhat dissonant combination of the frequently morbid lyrics and more euphoric beats expresses “a shared feeling of not belonging”. There seems little doubt their performance can only have endeared them to the more discerning Green Door Store punters, in whose affections this collective belongs.